With so many devices with different resolutions, screen sizes, and operating systems available in the market, the need for responsive websites and applications has become essential for anyone building an online presence. WordPress is the most popular CMS that is used by whooping 27% of websites on the Internet. It enjoys support from a strong community of open-source developers and designers coming from all walks of life. With the rise of the responsive web, most renowned theme developers adapted to responsive designs and introduced easy-to-understand frameworks, like Redux Framework, Carrington Core, Bootstrap etc., that can be used to create a responsive WordPress theme from scratch. So, what is this Bootstrap? Bootstrap is a toolkit that helps in the development of complex web applications. It was developed by developers at Twitter and was made available to the open-source community. Bootstrap is lightweight as it is coded in LessCSS. 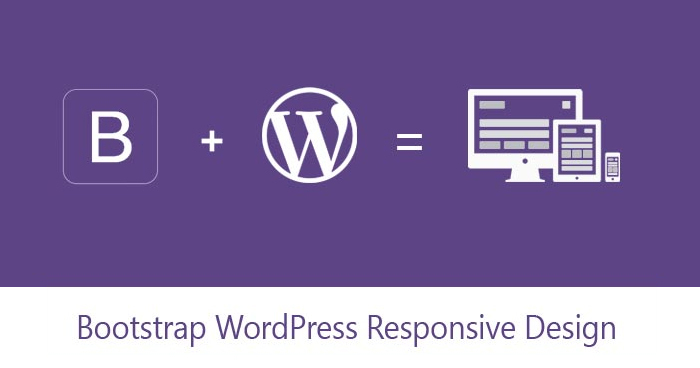 There are only following 8 steps involved to create a WordPress Responsive site based on Bootstrap 3.